Across all topics and levels of teaching, I generally believe that the ultimate goal of teaching is to help students to develop self-confidence. I would like to stimulate students to find their own motivation for study and assist them in developing their own approach to topics of their interest so that they become independent scholars. To this end, I would like to pay special attention to the fundamental human principles and the seven habits for personal and interpersonal effectiveness (Covey, 2004), positive psychology (Achor, 2011), and action research. First, I would like to make it my common practice to follow the principles and teachings in the 7 habits of highly effective people (Covey, 2004). That is, I would like to make sure that they become proactive by focusing on what can be controlled rather than what cannot be controlled, have specific goals in mind, and set their priorities straight to achieve what is truly important in a long-run. For students to become mature by developing the above habits, I should be careful not to impose my own perspectives and should review my approaches and missions periodically to continuously develop myself so that I can understand issues from their perspectives. Second, I believe in the general teaching of positive psychology: happiness leads to success, not the other way round (Achor, 2011, The happiness advantage). I studied the powerful effects of positive psychology in person through my learning experience in different cultures. 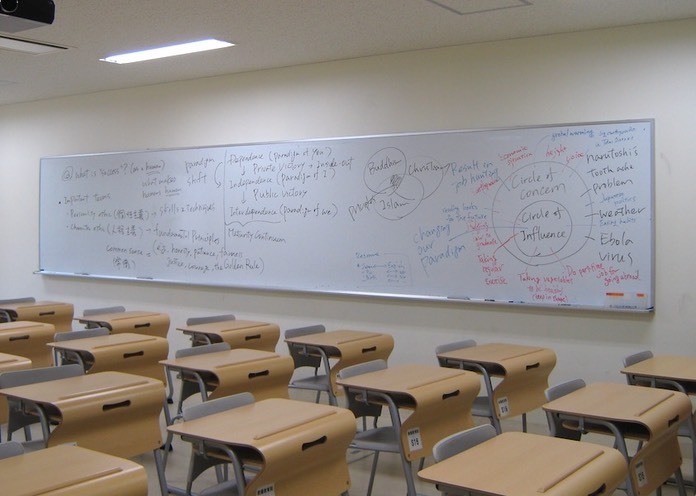 During my student time at Japanese schools, I received a countless number of negative feedbacks in the forms of verbal offenses and corporal punishments. The end-result of such Japanese-style education was significant loss of self-confidence and occasional flight from school. My attitude, however, shifted upward in Canada, as the internationally successful researchers around me all gave me positive feedbacks and constant encouragement. I am determined to take the same positive approach in my teaching. Third, I consider quantitative data analysis of students’ performance to be important part of teaching (i.e., action research). In the past courses, I analyzed students’ exam and self-evaluation data to understand their performance and then shared the results with my students in class. This helped all of us to examine our performance from time to time. 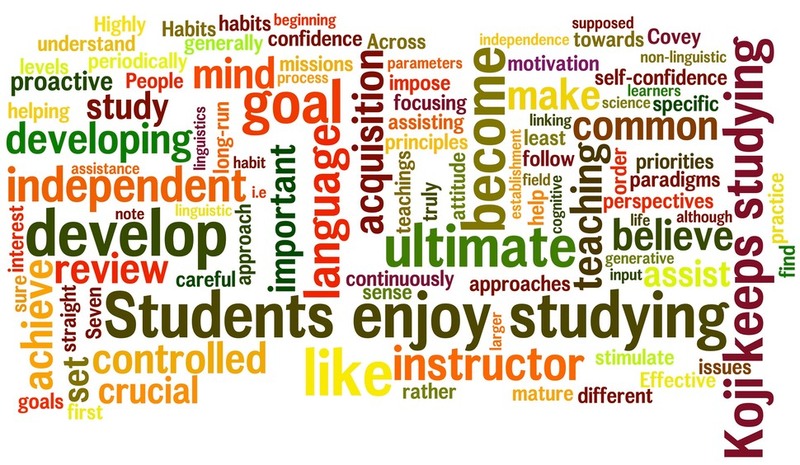 It also helped me to reconsider the course contents depending on students’ progress and topics of their interest. 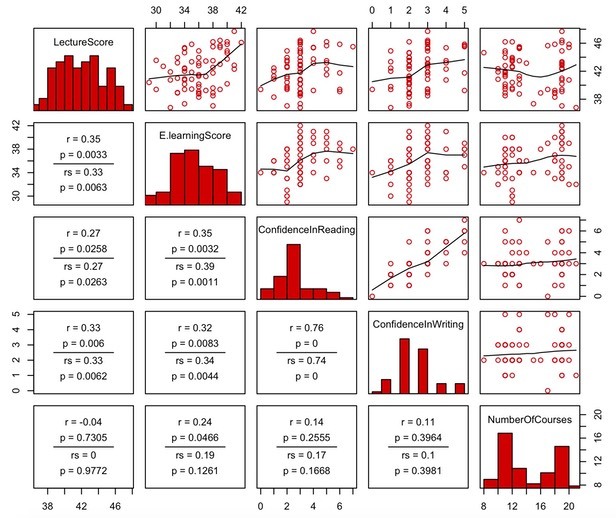 Even simple data visualization is effective because statistical analyses can reveal things that we are not fully aware of (e.g., whether my evaluation standard for grading shifted in the course of marking 120 essays, whether the number of courses students are taking affected their performance in exams, and how much confidence students have in their writing/reading abilities at the beginning of a semester). I consider teaching to be an opportunity to maintain and improve my human quality, which are unfortunately not always easy to do in the academic world driven by the publish-or-perish attitude, as well as in the world of capitalism driven by profit-oriented mindsets. University teaching has been considered less important than research by many, but this is why teaching is important to me. If students find my teaching philosophy needs to be updated, I very much appreciate their feedback. Because linguistic communication ability is luxury that only we humans possess, I would like my students to celebrate this luxury and express their opinions freely without hesitation. After all, "it is not best that we should all think alike; it is a difference of opinion which makes horse races" (Mark Twain).